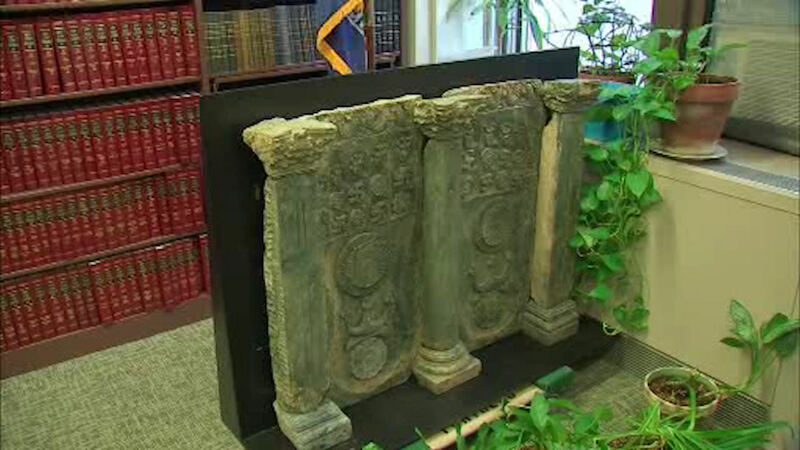 NEW YORK (WABC) -- An ancient sculpture recovered by the Manhattan District Attorney's Office will be returned to its rightful owner. The Buddhist artifact known as a Buddhapada will go back to Pakistan's Swat Valley, where it was stolen back in the 1980's. The piece was recently recovered during the investigation of international smuggling and sale of antiquities. DA Cyrus Vance, Jr. says returning it is simply the right thing to do. "These objects are culturally significant and when people say it's priceless, it's priceless because to the people of Pakistan this reflects their culture, their tradition, their history," Vance said. The art dealer caught with the sculpture has pleaded guilty to possessing stolen property.